KUVO welcomes the Anisha Rush Trio to the Phyllis A. Greer Performance Studio on Tuesday, August 29 - 7 to 8pm. The trio includes: Anisha Rush - Saxophone, Hunter Roberts - Bass, and Braxton "BK" Kahn - Drums. Studio Club Members: Please contact Arvida arvida@kuvo.org to reserve seats for you and a guest. Not a Studio Club member? Learn more here. 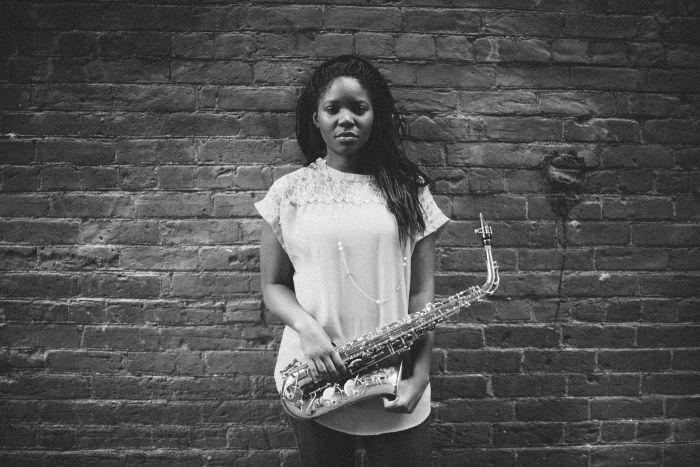 Colorado-based saxophonist and composer Anisha Rush began playing the saxophone at the age of 10 and immediately fell in love with the music. In 2013, Anisha was chosen to be a Telluride Student All-Star from a pool of musicians from around the country. She has been a member of The Ron Miles Group, The Boy/Girl Band lead by Art Lande, and the Colorado Jazz Group Big Band, playing with Colorado’s top players including Brad Goode, Jeff Jenkins, and Ken Walker. Anisha has shared the stage with world-class artists such as Tia Fuller, Art Lande, Brad Goode, Ken Walker, Ron Miles, Bill Frisell and Brian Blade. In 2016, she was chosen to attend the International Association of Schools of Jazz, a week-long conference led by renowned saxophonist Dave Leibman. Anisha holds a BM in Jazz Studies from the University of Colorado at Boulder.Recently, Anisha received a grant from the Boulder County Arts Alliance through Pathways to Jazz allowing her to record her debut album. She released "Pursuit" in October of 2016, using the project as a platform to de-stigmatize mental health. Anisha is now an active member of the Denver music scene as both bandleader and sidewoman.